This year I did not have too many running goals in mind. My one goal race was to run the 25k Green Monster trail race in October. That would be my longest race to date and the goal is to just finish. Other than that I just wanted to enjoy running with my friends. And on that note the first part of the year has been great. As with most things the more you run the better you get at it. Thankfully I have a great group of friends that enjoy running so I am able to find company for a run just about any time and that increases the likelihood of running on any given day. I tend to be the kind of person who thinks “I can’t do that” especially when it pertains to running. Luckily I have these friends that encourage me to sign up for challenging races and push me to run harder, faster, and farther than I think I can. These are good people. They tolerate my constant gripes as we run. They know at the end I’ll be happy with the results even though I deny it in the moment every time. So, thanks to getting to run with all my friends I have made more progress than I thought. So I think it is time to add a new running goal for this year. 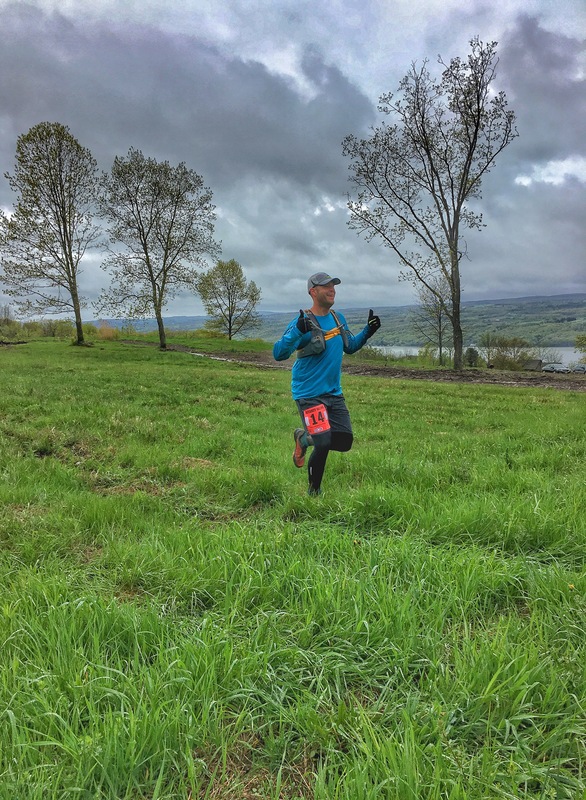 I had planned to focus on trail running but after my last road run I decided to set a goal for what I plan as my last race of the year, the Red Barron Half Marathon in Upstate NY with the Southern Tier Running Club. My goal is for a sub two hour half marathon at that race. Something that after last year I thought was just a goal for some race in the distant future. But now it seems within reach. Anyone who is interested in training with me as the year progresses with this goal in mind is more than welcome. Find me on Facebook and we can organize some runs. Looking forward to the next run. See you out there. Going for a sub 2-hour half on Saturday…crossing fingers! Good luck to you, hope you accomplish your goal!